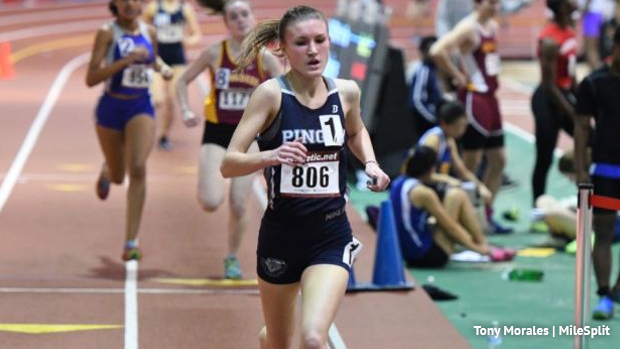 A busy weekend on NJ MileSplit! While the NJSIAA Sectionals roar on in Toms River, we'll also be recording every race as the NJISAA Prep athletes battle for their State Titles in Lawrenceville. Below you'll find the order of events as well as some records courtesy of the meet. Live Results are also available thanks to Tumey Timing, full results will be found on the meet page after the conclusion of the meet. Check back as race videos and more publish this weekend. The action kicks off at 2:00pm. We are Recording Every Race! Will be found this weekend on the meet page. The Pingry School girls and The Lawrenceville School boys and girls will be defending their Prep A team titles, Pingry and Lawrenceville girls tied for the championship last year. While the Stuart Country Day School and Pennington School defend their Prep B Championship wins from 2018. Starts at 2:00pm. The shot put and high jump will also be competed. Boys 1600 Meter Run "A"
Boys 1600 Meter Run "B"
Girls 1600 Meter Run "B"
These were provided by the meet and only include the Prep A, Prep B performances in recent years that have bested the A performances have also been noted.